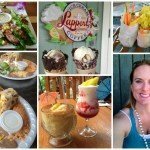 So, you’re planning a trip to the Garden Isle and want to know where to find the best beaches in Kauai? You’ve come to the right place! 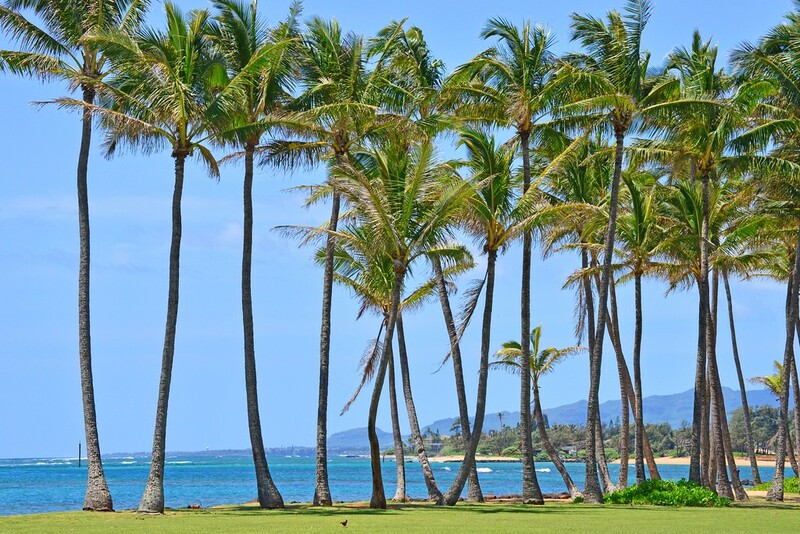 We have quite a few Kauai blogs on our site with the intention of helping you plan your own wonderful visit to paradise. We spent one week in Kauai, visited several beaches, and came up with a list of 5 gorgeous beaches you absolutely must visit as you explore Kauai. Lydgate Beach Park is located in Lihue not too far from the Kauai airport. In fact, it was our final stop in Kauai before catching our evening flight back to the US mainland. Lydgate is a beautiful tree-lined beach with a 2.5-mile paved coastal path, a playground, and two jetty protected swimming areas providing calm waters perfect for swimming and snorkeling. The beach is littered with driftwood, along with a fascinating collection of man-made huts. An evening stroll at Lydgate was the perfect way to close out our time in Kauai. 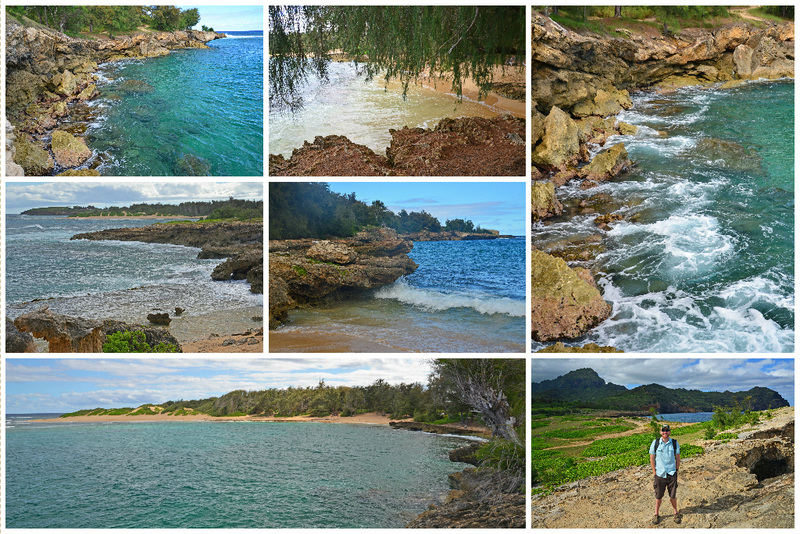 If you were to ask us what is THE best beach in Kauai, we’d say without a doubt – Tunnels Beach! Parking is rather limited here, so we ended up parking at the nearby Haena Beach Park and walking to Tunnels, but it was worth the effort! The sun was shining, the ocean inviting, and the scenery… absolutely breathtaking! Reefs teeming with tropical fish and other sea life are located right off shore. It gets fairly deep pretty quickly, which was a little intimidating. My imminent fear of JAWS coming to life, along with our pilot (during an island helicopter tour) pointing out where Bethany Hamilton had her arm bitten off by a tiger shark, certainly did not ease my tensions! I will never be able to relax in the water and just enjoy the sights without thinking a shark is going to pop out of nowhere! Though my thoughts were quickly diverted when we spotted our first sea turtle! Shortly there after, we spotted another… and another! We had hit the mecca of the turtle sanctuary! 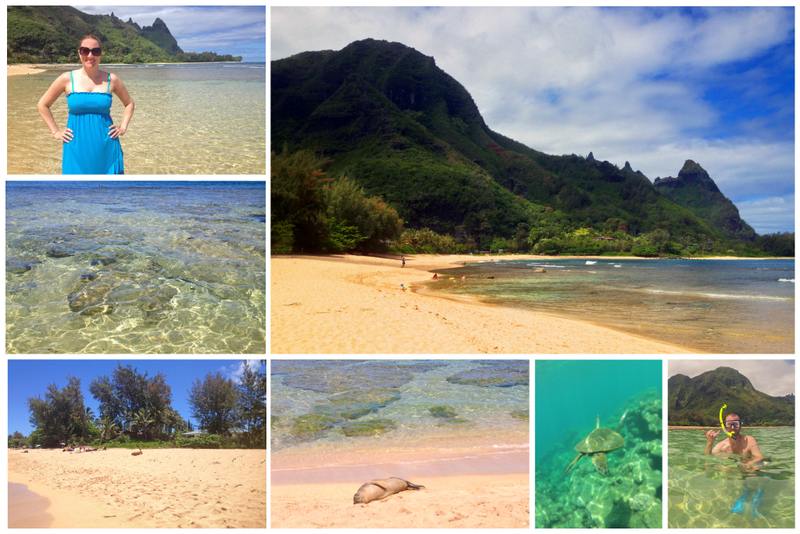 What an incredible experience to swim with turtles in Kauai. Back on shore, we saw a Hawaiian monk seal lounging in the sun. Sam went back for another snorkeling session a little later and saw a small white tip reef shark; thank goodness I wasn’t with him! Beautiful Ke’e Beach is visible from Kalalau Trail along the stunning Na Pali Coast. Following our hike along the trail, we trekked back to our car, got our swimsuits and snorkeling gear, changed in the nearby restrooms and made our way to the inviting beach. (We rented our snorkel gear from Pedal n Paddle in Hanalei.) Unfortunately, the clouds had started to roll in, the sun was no longer shining, as it was when we were hiking, and the water became quite cold. Supposedly Ke’e Beach is another great location to swim with turtles, but we weren’t in the water long enough to encounter any honus (Hawaiian green sea turtles) on this beach trip. It’s still a gorgeous beach nonetheless and one that we highly recommend. Parking here can also be very limited, since it shares a parking lot with adventurers hiking the Kalalau Trail. At Po’ipu Beach, a narrow sand spit known as a tombola, extends from the shore to an island separating two bays, essentially creating 2 different beaches. Known as Nukumoi Point, this tombola at Po’ipu Beach is a popular napping spot for Hawaiian monk seals. 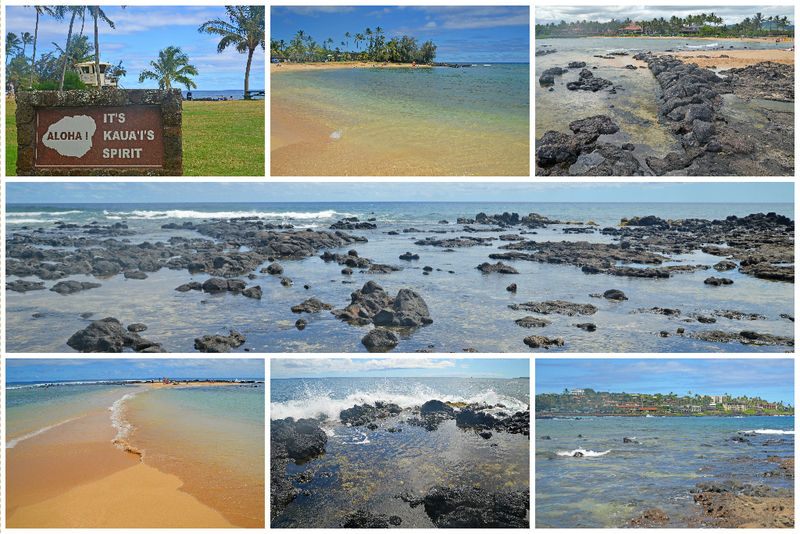 At low tide among pools of water in the lava rocks, you may be fortunate to see the tide pool teeming with life! 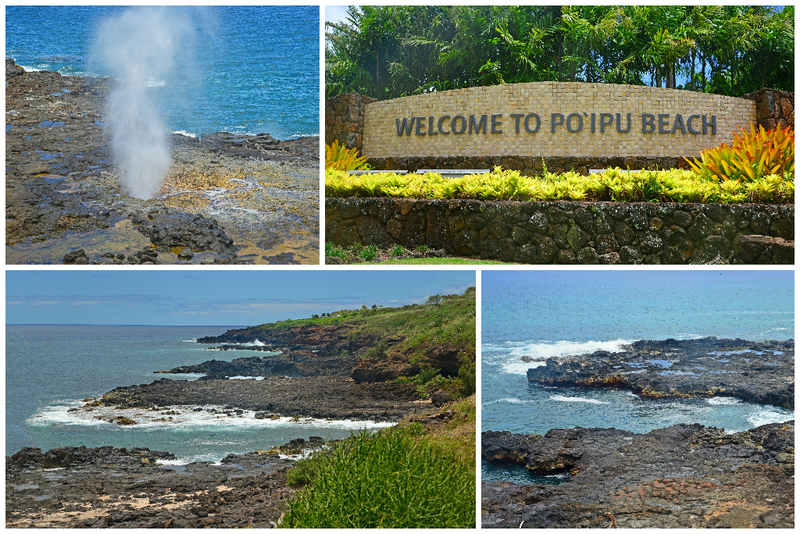 Po’ipu Beach is also home to Spouting Horn, a place where ocean waves erupt through the lava rocks like water coming out of the blowhole of a whale. There was another beach with tide pools we wanted to check out, but little did we know, we’d have to drive down a 2.5-mile pot-hole-ridden dirt road to get there. Although it was only 2.5 miles, it took us nearly 25 minutes to get to the beach because of the condition of the road. It was so worth the effort, as it ended up being one of the most beautiful places on the island. We parked in the first parking lot we came to and followed a little tree-lined trail out to a deserted beach. We then drove a little further down another road leading off the parking lot and hit a gold mine – one of several Kauai hidden gems! 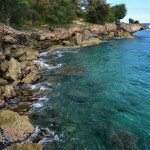 Mahaulepu Heritage Trail runs along the coast, passing cliffs and rocks with crystal clear water stirring below. We only saw one other couple during our time there, so we practically had this little sliver of paradise all to ourselves! 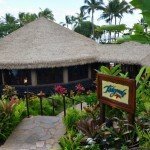 Following our exploration of this stunning part of the island, we made our way to the nearby Grand Hyatt Kauai for probably our most romantic dining experience ever at Tidepools restaurant. I love all of the beautiful pictures and helpful hints you shared! 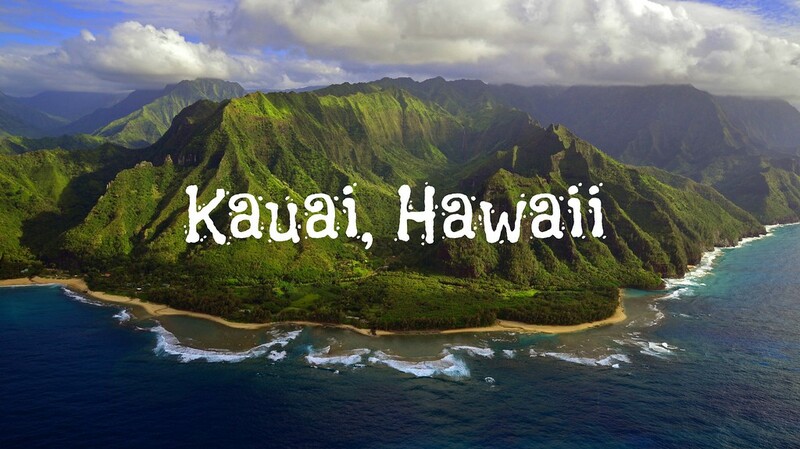 Im going to Kauai with my family this summer and Im excited to visit some of the places you’ve recommended! Wow! 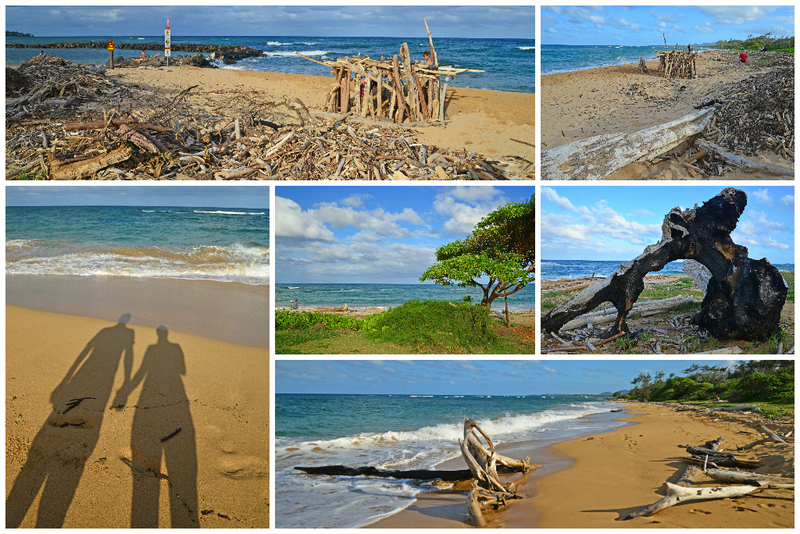 Kauai is my favorite place and doing some pre-getaway research. Great list – thanks so much!!!! You are welcome! 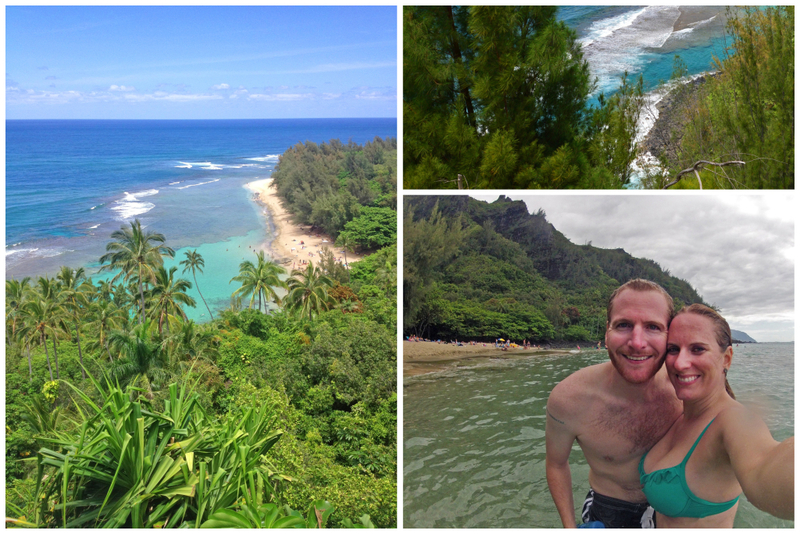 Kauai is one our favorite places too. We still need to visit some of the other Hawaiian islands as well! Love all your beautiful images and blog. We are planning to go in August. Would you mind sharing what photo equipment you chose to take. And what program you use to edit in. I know a good photo is more than just good euipment but I sure would like to know. I’ve traveled with a big DSLR but am leaning toward leaving it at home this trip but want images similar to yours. Thank you. Glad you enjoyed our blog. Unfortunately my best images (and most pictures seen on the blog) are shot with a DSLR (Nikon 7100). I use Photoshop to edit. I recently purchased an iPhoneX and while it takes great photos, nothing compares to the clarity of a DLSR shot. Have a wonderful time in Kauai, and no matter which camera you use, you’ll get beautiful shots, because the subject itself is so breathtaking!